*Disclaimer: I received this wine as a sample from the PR folks for the Wines of Chile. I have a bunch of Carmenere in my basement. 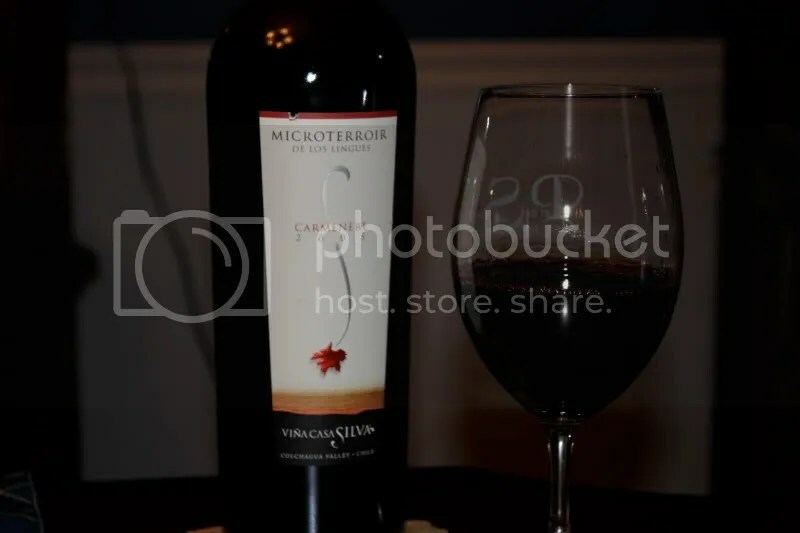 I was supposed to participate in a Carmenere tasting quite some time ago, but I got sick and was unable to fully participate since my nose and palate were off. Instead, I wanted to give the wines a fair shake, so I’ve (slowly) been making my way through the 8 or so bottles that were meant for the tasting. 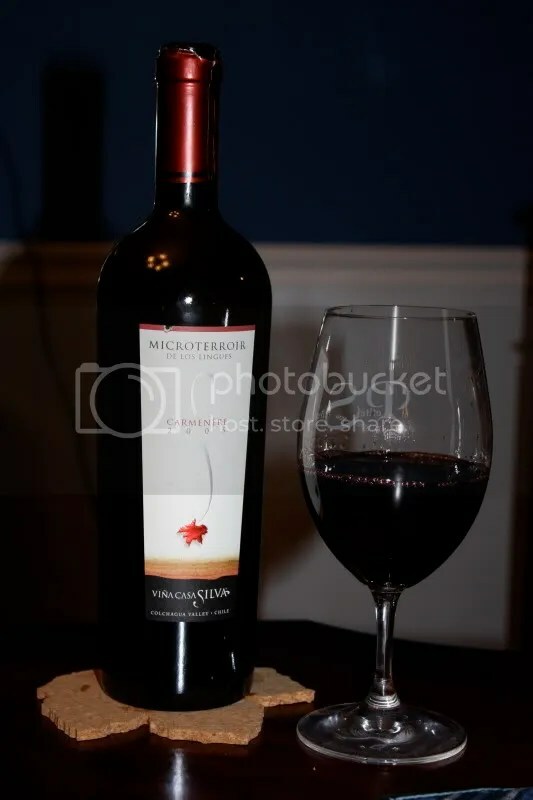 Up tonight, the 2005 Vina Cases Silva Microterroir de los Lingues Carmenere. It had a real cork closure, clocked in at 14.5% alcohol by volume, and looks like it might retail for between $25-$40? I’m finding it difficult to really tell. First, I had to note that this was just about the heaviest wine bottle ever. You could take someone out with a swing of it, no problem. The nose on this wine seemed very pungent to me, showing pencil lead, herbs, cedar, black fruit, green pepper notes, pepper, and bright fruit. Overall, I found it to be quite spicy on the nose. In the mouth I got pepper, blackberry, spice, spice, spice, pepper, more spice, and lots more spice. I found so much spice on this wine in both the mouth and the nose that this wine really deserves to be called “All Spice,” as in, you take every spice in your cabinet, mix them together and then try to sort one from the other on the nose and mouth of this wine. Interesting, but nearly impossible to do. Pair with a steak.